Amazon has acquired a package of seven kids and family titles from Fremantle Media for its Prime Instant Video streaming service. 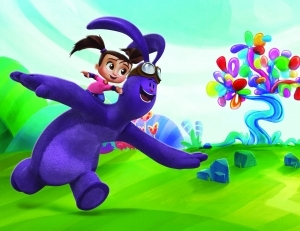 The SVOD player has bought Kate & Mim-Mim(pictured), children’s seriesTeam Toon, Alien Dawn,Really Me, The Aquabats Supershow! And Monsuno from FremantleMedia Kids & Family Entertainment. Stop earning in pennies from CPM and Ad-based revenue model provided by sites like YouTube & Vimeo! Realize the true potential of your video content & start earning top $ for the same from Subscription driven and PPV revenue model. Launch your own VoD site at ZERO CapEx cost and in matter of hours with Muvi SDK.